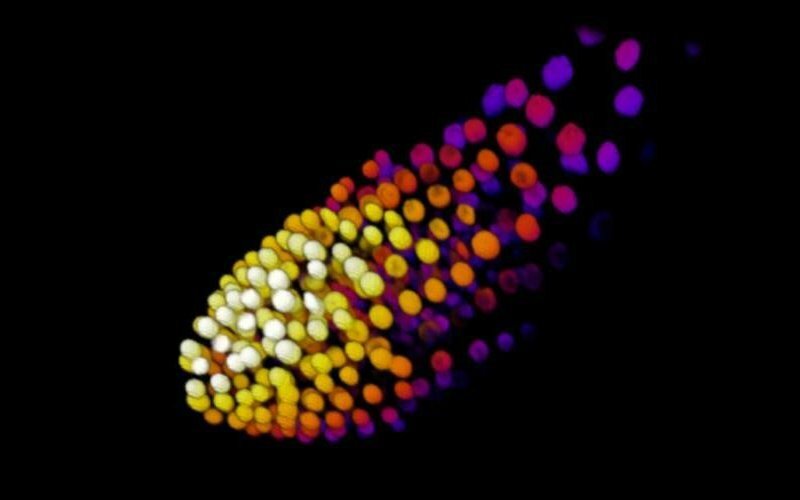 Embryo - DAPI counterstained nuclei of a human embryo, segmented and depth-color-coded. 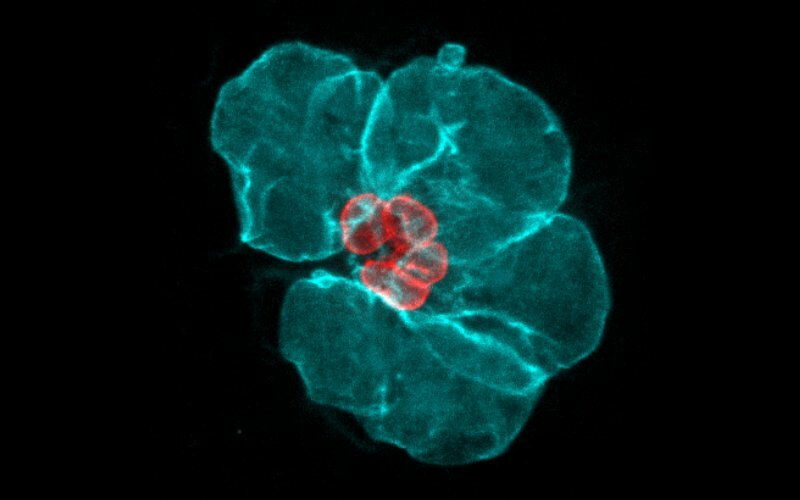 Harmonic - Mitotic cells visualised by autofluorescence (red) and second harmonics (green). © Marcel Ameloot, Biophysics group, Hasselt University. 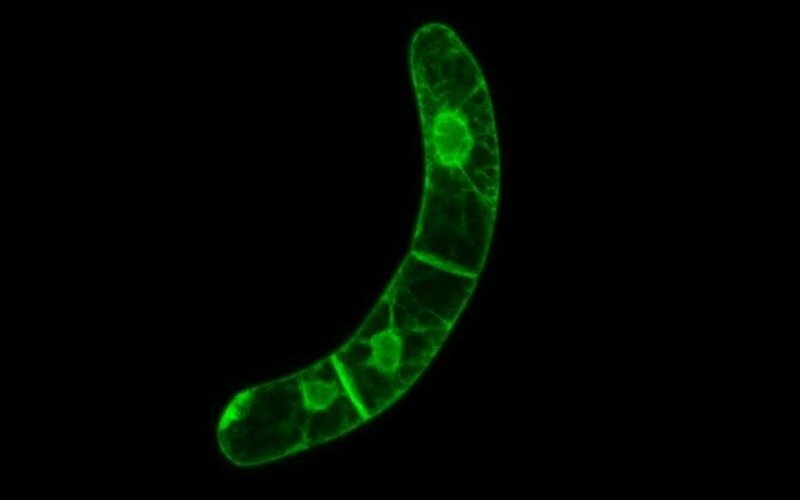 Root tip - Confocal reconstruction of transgenic Arabidopsis thaliana H2B-GFP plant. 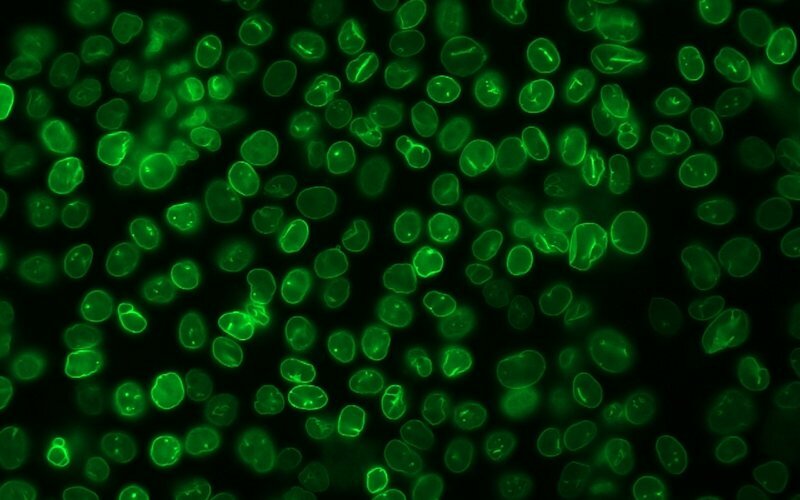 BY2 cells - Confocal section of BY2 tobacco cells transformed with a GFP-Nictaba construct. Nuclear dysmorphy - Compound progeroid patient cells counterstained for nuclear envelope components lamin B1 and NPC's. 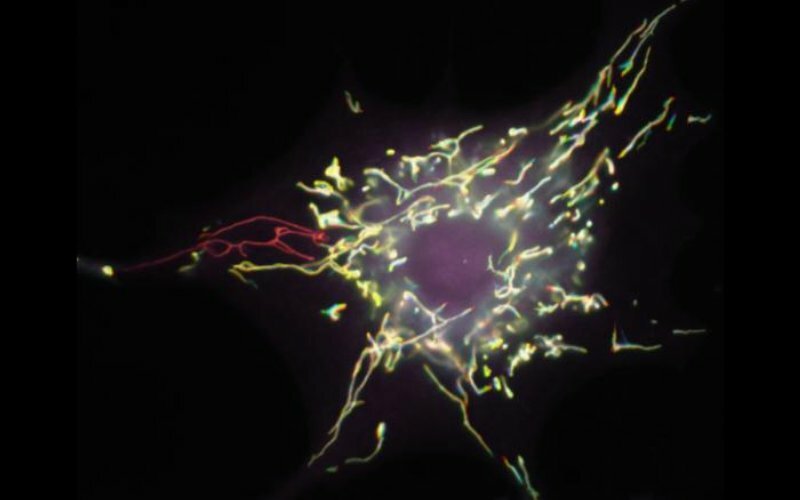 Short circuit - Color-coded time projection of a human fibroblast undergoing mitochondrial depolarization. 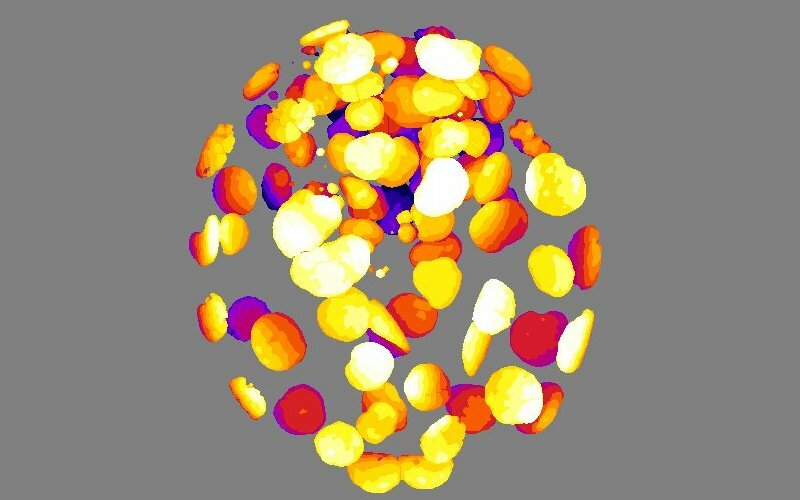 Cross - DNA damage repair in a U2OS-53BP1 cell nucleus after laser micro-irradiation. © Winnok De Vos, Antwerp University. 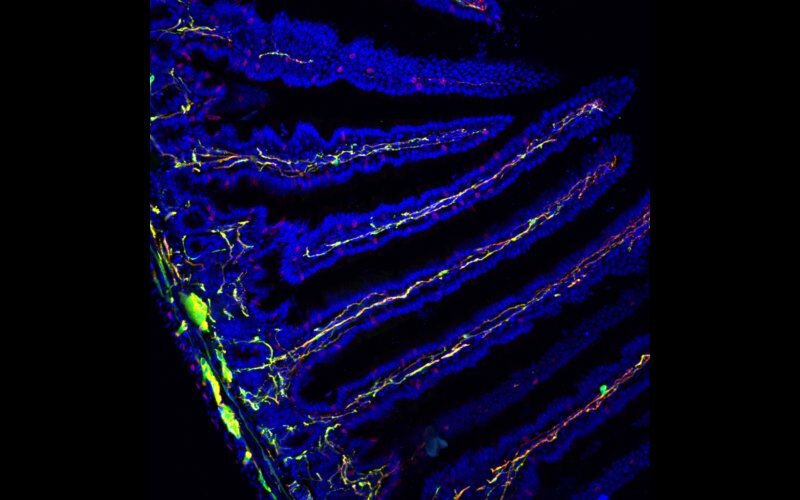 Innervation - Mouse intestine section stained for enteric neurons/glia (green), neuronal processes (red) and nuclei (blue). 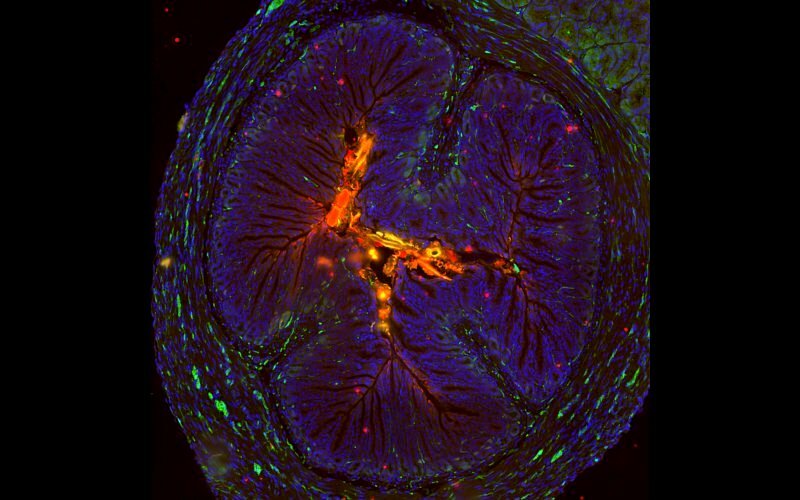 Insect look-a-like - Spry4 KO mouse antrum section stained for S100β+ glia (green), enteric neurons (red) and nuclei (blue). 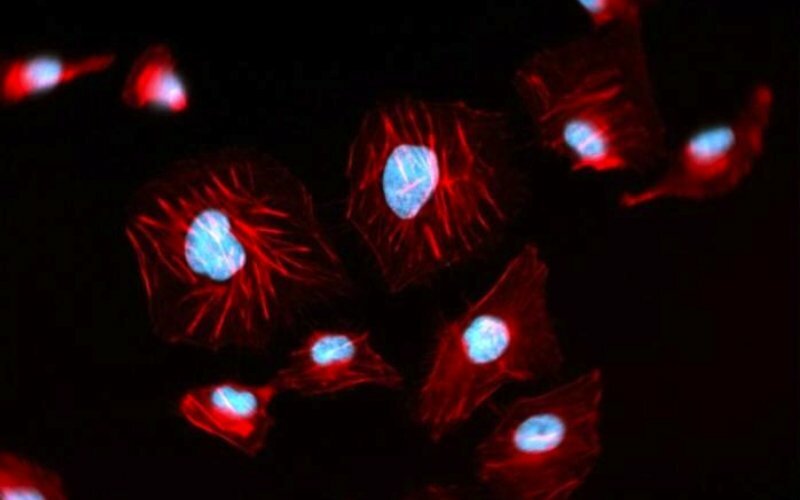 Expanded Nuclei - Overlay of lamin-counterstained carcinoma nuclei before (red) and after (cyan) expansion. 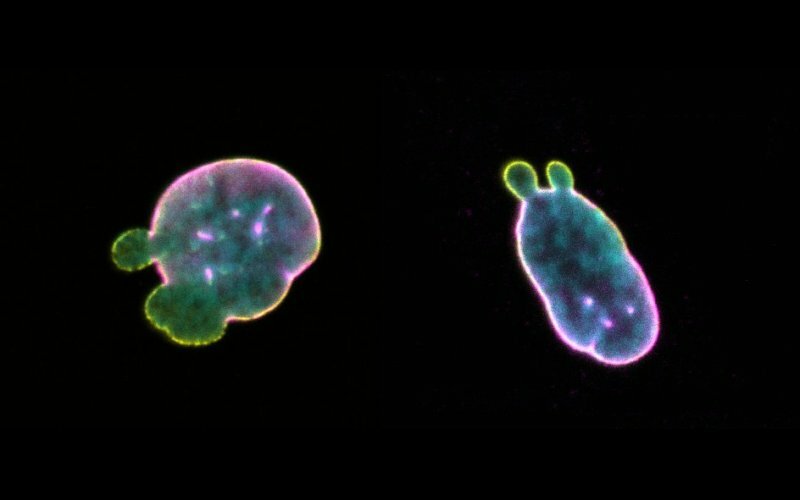 The more the merrier - Label-free image of neuroblastoma formation. 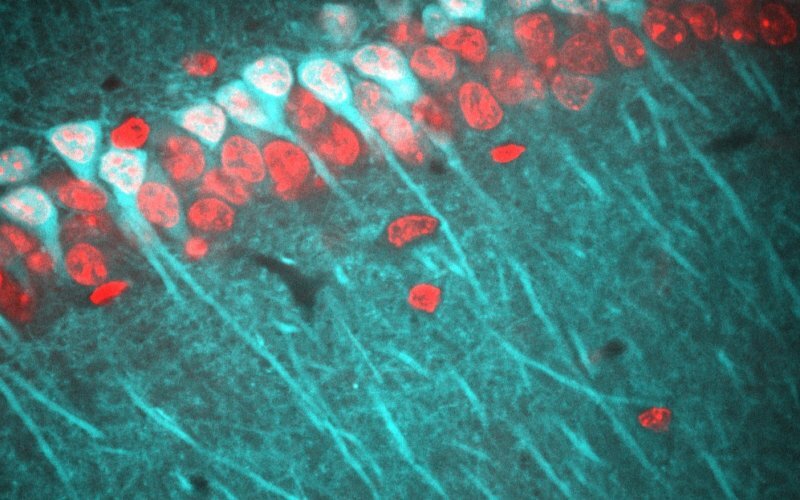 Polarization-dependent forward SHG reveals horizontally (cyan) or vertically oriented (red) microtubule bundles in axonal projections. 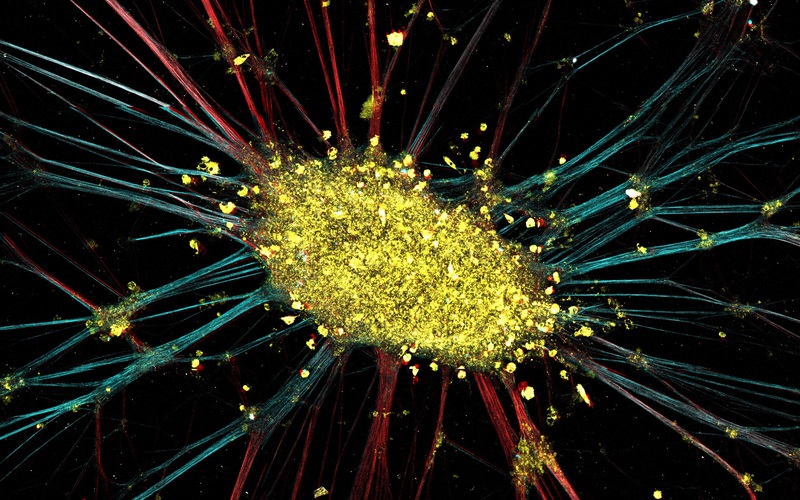 Autofluorescence (yellow) from the cell coma was acquired simultaneously. 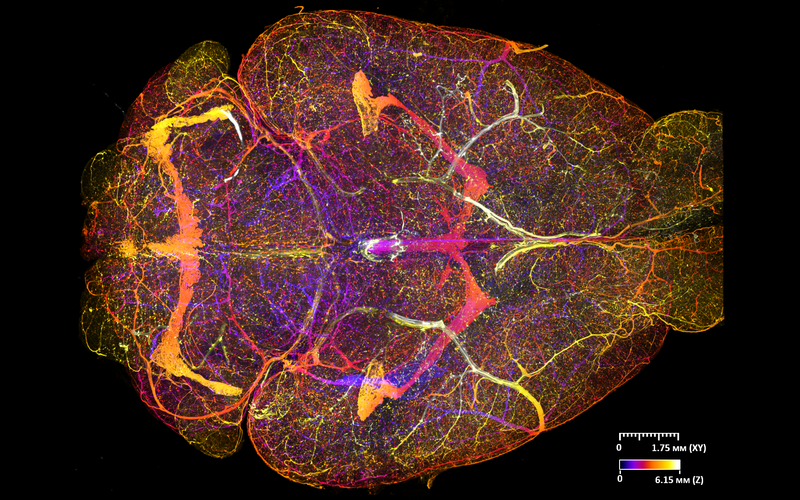 Innervated brain - Light-sheet microscopy of optically cleared mouse brain perfusion stained for the vasculature. 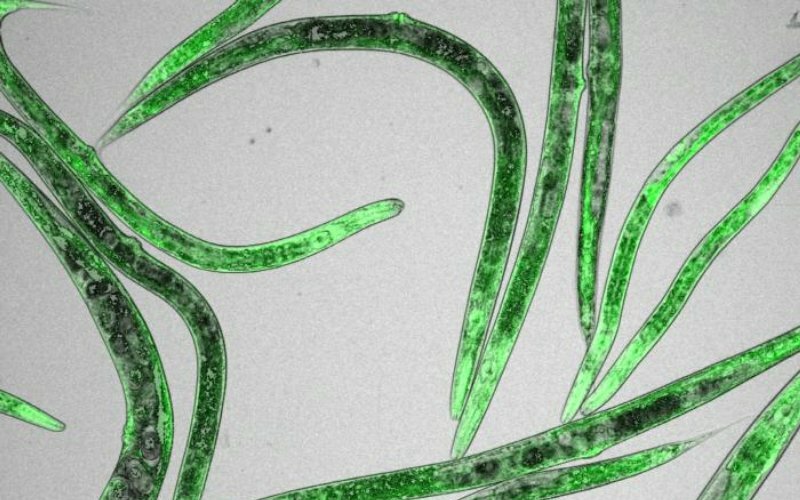 Fluorescent labelling was done by intravenous administration of a Alexa647-conjugated lectin. A colour-weighted axial projection was rendered with a Fire lookup-table to visualize depth differences.